should be done in 2014. With a laser. My discussion partner said that this already existed and of course he came up with the name of the –now Japanese- ELP Laser turntable. This USA born and designed idea / product has been around for many years, was subject of many not successful stories, heavy investments (I guess) and finally ended up as being (still) produced in Japan. If you Google it you can find all the info you want and even the enthusiastic Japanese owner of the company shows you around in a YouTube movie. My very well organized discussion partner walked to one of his “documentation rooms” and came back with an original brochure ánd manual of the turntable :-). I smiled and amazed him by telling him that in my archives I still had a contract for being the distributor in The Netherlands or BeNeLux for this ELP turntable. But I believe almost every distributor at that time in The Netherlands had such a contract. We were all lucky the company at that time never supplied any product … pfff. One day in January 19-I don’t know which year, a number of international high-end distributors were invited to see and hear the turntable. The US designer / manufacturer rented a villa in Las Vegas which was said to be owned by … right, Diana Ross. How exciting. So we were driving with our invitation direction the given address. Of course the area could only be entered after being checked at the entrance and after that we passed the streets with, what I remember, beautiful houses. Did not expect anything else of course. One thing I will never forget and that was a big house with the owner in front of it, cleaning his antique Bugatti :-). Never saw that in the streets I have been living in. Anyway, finally we arrived at Diana’s place. She did NOT open the door! She was not even there :-(. But the idea was exciting. We saw and heard the ELP turntable. I don’t even know if the sound impressed me or not. I just remember it was a hassle before an even clean-looking new LP could be played. But … it worked in the sense of making sound. By the time we had to go I decided to leave my “traces” for Diana. I took my business card and put it under the tablecloth of the coffee table. Maybe she was going to call me :-). Well, I am still waiting … Happy Birthday Diana!! Dit bericht werd geplaatst in Algemeen info - Informations générales, Dealers - Revendeurs, Luidsprekers - Enceintes en getagged met birthday, diana ross, durob audio, herman van den dungen, music. Maak dit favoriet permalink. 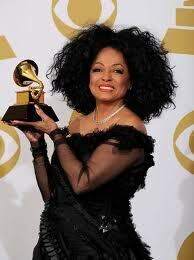 2 reacties op Happy Birthday Diana Ross! If I remember well, at the time it was called the FINAL laser turntable, no?